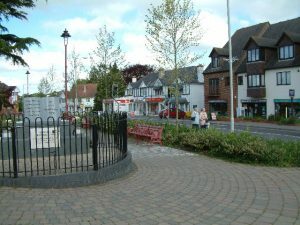 Our mission is to ensure you receive a fast, expert and trustworthy service in Verwood. Whether you need plumbers to fix an old boiler or install a new one, the peace of mind of ongoing maintenance, or creative and reliable kitchen and bathroom design, we’re there when you need us. Ecosafe operate all around the Verwood area. Get in contact with the heating and plumber experts. The Ecosafe 10 year guarantee. Instant quote service for free. Clear and transparent pricing with no hidden costs. Legal and responsible disposal of your previous boiler. Friendly yet professional plumber service. Speedy bookings with professional service. A range of post-installation care packages. 0% finance options if required. No call out charges – we are your local plumbers. Simple straightforward pricing explained in plain English. You decide your next steps. Free expert advice – ensuring you have the right information pertaining to your boiler, your problem, and your requirements. A range of Care Service Plans which vary according to need. Free expert advice when you need it. No call out charges which sting when you’re worried, and no hidden costs. Ever. Dedicated landlord services whether you rent out one property or dozens. 24 hour on-call plumbers to assist in an emergency. Get your free quote for boiler installation or replacement in Verwood. Should your boiler need repairing, or you have any other plumbing problem, give us a call on 0333 939 0161. We are your Verwood plumbers – your local reputable service. I came home from work to find that my boiler had broken down and I had no heating or hot water. I called ecosafe who arrived shortly after my call. They managed to fix my boiler by replacing one of the parts. I cannot thank them enough. Ecosafe installed our new boiler, they did a great job and the team were very helpful and informative as we didn't know what boiler would be best. I would not hesitate to recommend them to others. My husband and I found Ecosafe online and decided to use them for our bathroom re-fit. The company was very professional and did an excellent job, we are always getting compliments on how great our new bathroom looks and I have forwarded on the companys details to my friend who now wants her bathroom doing aswell. We chose Ecosafe for our new bathroom, the team really did do a fantastic job and the overall look is far better than I could have possibly imagined. The price I was quoted was very reasonable and they kept everything as neat and tidy as possible during the bathroom installation process. I have just had my bathroom completely refurbished by ecosafe. Including having the floor being pulled up, new floorboards and leveled, a new bathroom suite all the walls and floor retiled. I was very impressed with the professional and very polite workmen who covered all my carpets so there was no mess and I was happy to leave them in the house on their own. Completely clean and tidy when they finished highly recommended. Ecosafe have worked for Wiltshire Council Housing Management on our contract for the replacement of gas fired boilers for the last 2 years. We have found them to be very reliable and flexible in dealing with our tenants requirements, we would have no hesitation in using them in the future. recommended. 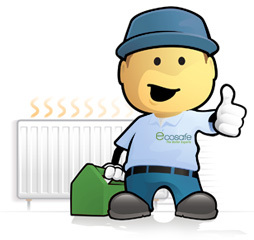 We employ Ecosafe to install new boilers, heating systems, kitchens and bathrooms to a number of our managed properties. Recently they were also involved with the design of the new heating system and installation of radiators throughout our own premises in Poole, Dorset. PHP would not hesitate in recommending them for their professionalism, quality of workmanship and attention to detail. They are well organised and go out of their way to offer help and advice. They certainly provide value for money too! We recently has a complete refurb throughout my whole flat, new bathroom, new kitchen, new boiler and complete redecoration. We found that all the Ecosafe employees were smart, clean, courteous and professional. Their workmanship was immaculate from start to finish. I am so happy with my new place and would, recommend them to anyone.